AHI is an independent, non-profit organization supporting hospitals, physician practices, behavioral health providers, community-based organizations, patients and others in our region to transform health care and improve population health. Business Hours: Monday through Friday, 8 a.m. to 4 p.m. 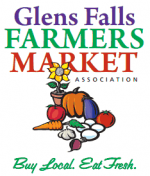 Helping the Glens Falls Farmers’ Market to continue to thrive through support for both vendors and customers of the Market and through educational and outreach programs connecting the Market with the greater Glens Falls community. Our Vision for America is a country where every child is healthy, safe, and thriving; where all children develop to their potential, supported by family and community; where all children are nurtured, getting what they need to succeed; where all children grow into responsible adults who are able to make positive contributions to family and society. Our Mission is protecting children, preserving families, and strengthening the communities we serve.